At a time when trees are also being ravaged by newly imported pests and diseases, one important factor for the survival of some species is going to be diversity of stock and the way forward is going to be trees grown from local seed, on home soil. Growing seeds from healthy UK trees is probably one of the best ways of taking out insurance that there will be strong saplings to plant where the gaps appear. Through this autumn festival The Tree Council aims to inspire everyone, particularly school children and families, to gather seeds, fruits and nuts and grow the trees of the future. Growing trees from local seed can have great benefits in restocking areas with trees of local provenance. The concept of local provenance suggests that trees that are adapted to the local circumstances and so are likely to flourish and help restore, conserve and beautify local urban and rural spaces. 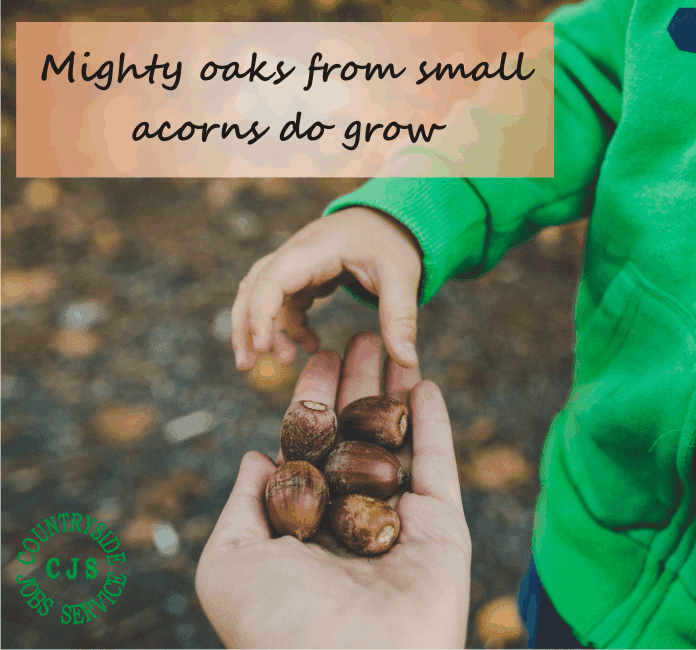 Collecting seeds and growing trees is also a great way to get children involved and start growing the next generation of tree enthusiasts. You can find events on our Near You map.